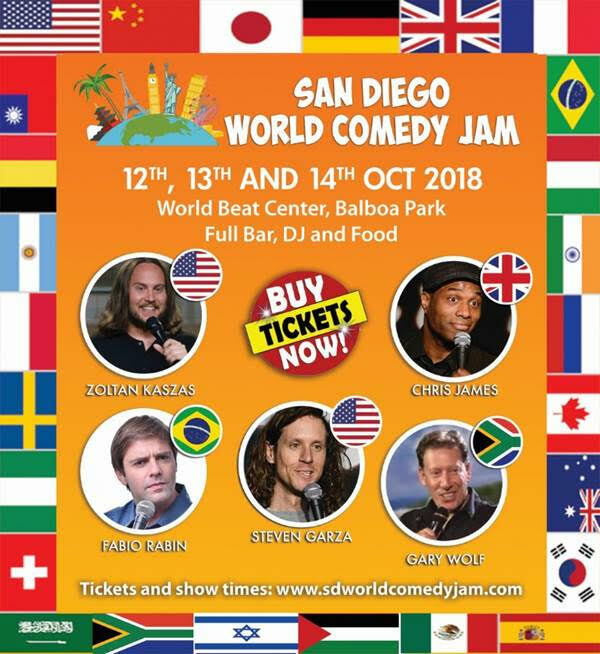 The first annual San Diego World Comedy Jam, featuring comedic artists from across the globe will run Friday, October 12 through Sunday, October 14, 2018 at the World Beat Center in Balboa Park. Establishing the San Diego World Comedy Jam at a comedic level on par with such giants as The Edinburgh Fringe Festival, the Montreal International Comedy Festival and the Melbourne International Comedy Festival is the vision of Gary Wolf, CEO of Gary Wolf Entertainment, LLC. (fb : sdworldcomedyjam), Instagram (sdworldcomedyjam) and Twitter (@san_comedy https://twitter.com/san_comedy).